Another in between chapters comic, this time actually on topic with Rune Hunters and not off talking about video games, Star Wars or Harry Potter. 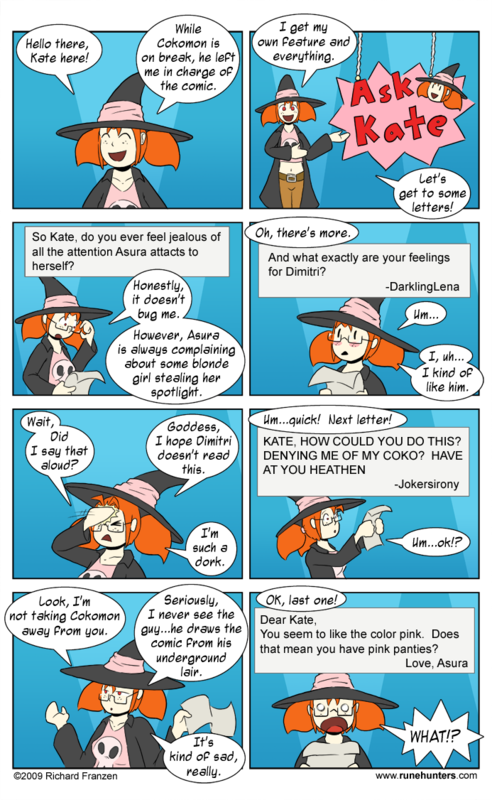 That’s right, I gave Kate her own feature, based on the responses I got. Special thanks to those who replied. Hopefully she’ll get more questions in the future, otherwise her section will be pretty short lived. It might make Kate depressed, and you don’t want that, do you?